Valentine’s Day will be here before you know it! What better way to celebrate it then to surprise your Valentine with a trip to Natural Bridge & Red River Gorge! 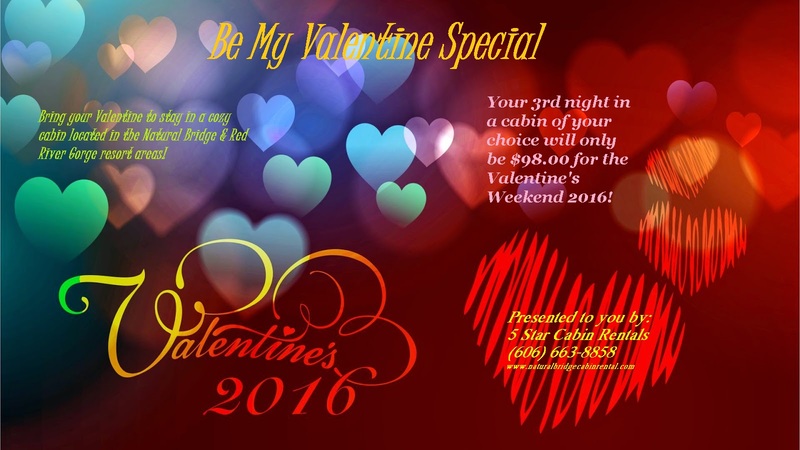 5 Star Cabin Rentals is offering your 3rd night for $98.00 in the cabin of your choice for Valentine’s weekend 2016. We offer cozy, secluded cabins that will make it an unforgettable stay. 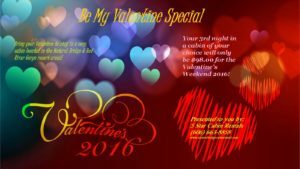 To take advantage of this special offer, give us a call at (606) 663-8858 and use promo code “Be My Valentine”. After t hat, it’s easy, just choose the perfect cabin! 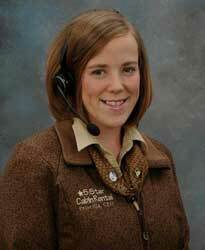 We’re in the office until 8:00 PM this evening if you would like to make a reservation or just have some questions. 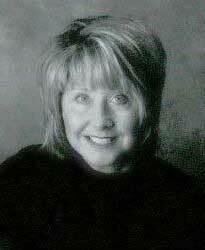 Either way, I look forward to hearing from you soon!